You’re out enjoying the shops with some friends, when the unthinkable happens: You trip over an unmarked water spot on the floor, and fall. Not only is your pride injured, but you’ve hurt your back enough to warrant some medical attention. When you slip and fall due to the negligence of others, whether a shop owner, a council, the city, or your employer, there’s a good chance that you are entitled to compensation for your injuries. After all, not only do you incur expenses for the treatment of your injuries, but also loss of income, and diminished quality of life. However, slip and fall cases can often be difficult to prove, and the actions of the victim don’t always help. 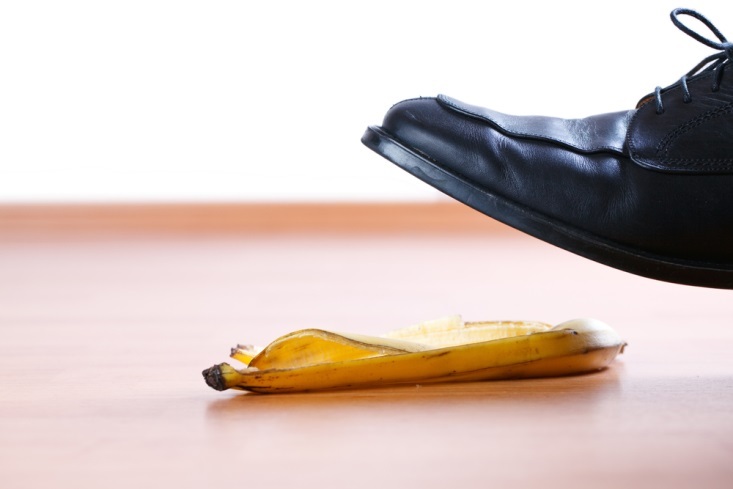 Often, victims of slip and fall accidents make mistakes, either inadvertently or in an effort to “help” their case, which only lead to more questions or an outright dismissal of the case. Knowing what to do and what not to do — if you slip and fall on someone else’s property will improve the likelihood of a successful case and getting the compensation that you deserve. 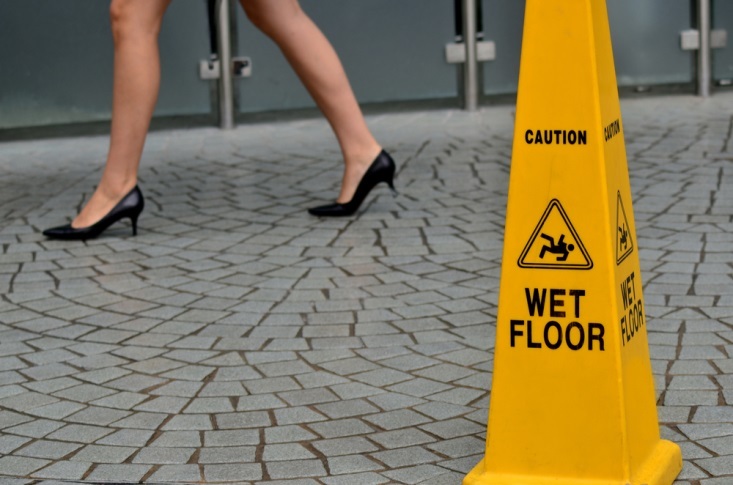 One of the primary reasons that slip and fall cases are not successful is that the victim fails to prove that the defendant is responsible for the accident. Often this is due to a lack of evidence. Without providing proof that the floor was wet and slippery, or that the sidewalk was uneven and caused you to trip, your case is unlikely to succeed. If you slip and fall, it’s vital to document the scene. Take photos of the hazard that caused the accident and the surrounding area. If a crack or protrusion caused the fall, take a close up photograph of the hazard with a ruler to show the actual size of the obstacle. Collect any witness contact information as well. When you have this documentation, the claim will take less time to process, and will likely have a more positive outcome. Insurers and courts usually try to determine whether there was any contributory negligence in personal injury cases; that is, they want to know if the victim did anything to contribute to their injuries. This generally means questions about the footwear you were wearing, whether you were doing something else (like using a mobile) when you fell, or whether you were under the influence when the accident occurred. Never lie about these facts, as this could lead to the denial of your case, or lengthen the time it takes for investigation. Many victims of slip and fall accidents are embarrassed, and try to get away from the scene as soon as possible without anyone knowing what happened. If you are injured, though, and later make a claim, the fact that you left without saying anything could hurt your case. When the responsible party has no record of the incident, it’s up to you to provide proof that your injuries happened on their premises, which may be difficult. So while you may be slightly embarrassed that you took a tumble, notify the owner or manager immediately and make a report to prevent challenges later on. One major problem with slip and fall injuries is that they can sometimes take a bit of time to develop. You might feel fine immediately, but several hours, or even days, later you are in excruciating pain. That is one reason it’s important to be seen by a doctor right away, even if you do not think you are seriously injured. Failing to get attention for your injuries right away could cause the insurer to argue that your injuries are not a result of the fall, and deny your claim. The realm of personal injury claims and compensation is a complex one, and making one false move could result in denial of your claim — and huge legal expenses. Because the potential for error is so significant, and you might not know the proper way to proceed when dealing with insurers, it’s always best to hire representation to handle your claim, preferably a no-win, no-fee solicitor. When your claim is successful you will have to pay for the help, but you have a better chance of both a successful claim, and a higher settlement.